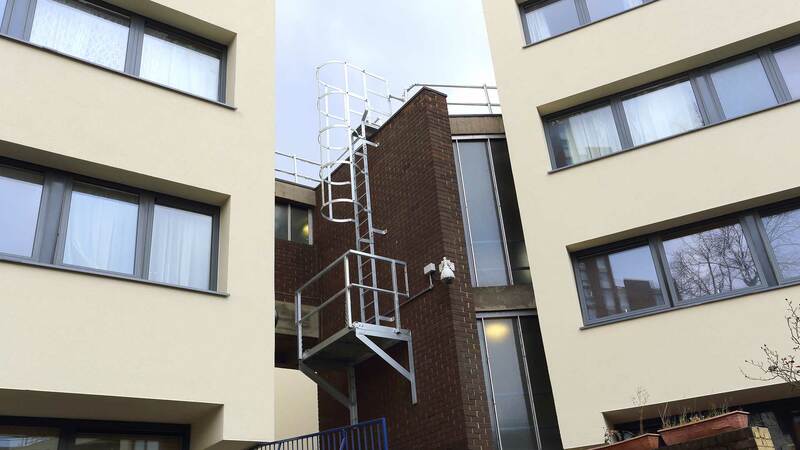 webertherm XM EWI delivers dramatic refurbishment of the Denton Estate, a low-rise estate formed of 19 four-storey apartment blocks together providing 127 homes. 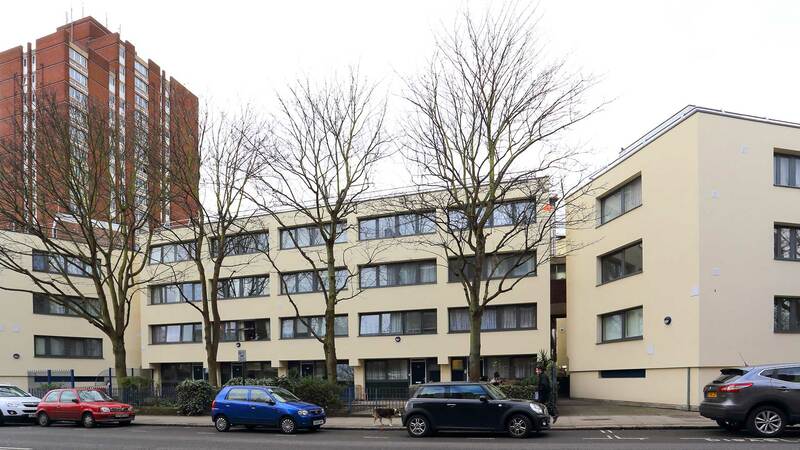 Weber’s External Wall Insulation (EWI) has been specified in Camden Council’s dramatic refurbishment of the Denton Estate in Camden, North London. The low-rise estate is a major community formed of 19 four-storey apartment blocks together providing 127 homes. Located on the corner of Malden Crescent and Prince of Wales Road, the Denton Estate was constructed in 1965 using a cast concrete frame with brickwork infills. Camden Council’s property portfolio has a scheduled upgrade programme and during 2014 the Denton Estate was transformed with major internal and external improvements. Visually, aesthetics have changed for the better with the application of webertherm XM, a lightweight render protected external wall insulation system, which has created a striking appearance to the properties. Now the external walls have a smooth, render finish and a bright, welcoming facade which replaces the tired, dull and discoloured original brickwork. At the same time, the thermal performance of the properties has been dramatically improved from a U-value of 1.40W/m²K to a very comfortable 0.28W/m²K with the application of 12,000m² of webertherm XM EWI. The main contractor for this major refurbishment project was Keepmoat, and AK Design Partnership LLP, Romford, Essex, a practice which has great experience in estate regeneration. Camden Council approved the proposed render application that would cover the original brickwork providing a new identity for the Denton Estate. 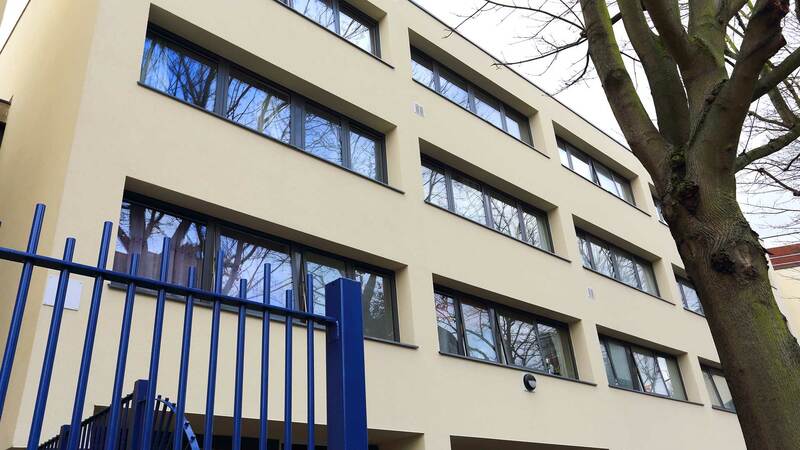 British Board of Agrément certificated and Energy Saving Trust listed, webertherm XM EWI was specified for this project incorporating the use of 90mm thick grey expanded polystyrene (EPS) as specified by Weber, which was applied to the substrate with mechanical fixings and adhesive. Network Weber applicator Primars Coatings Services Limited in Edgeware, Middlesex installed the multi-coat system onto the high performance insulation, applying a 6mm meshcloth reinforced coat of weberend LAC. This is a polymer-modified, cement-based mortar which is applied in two passes. The surface was then primed with weber PR310 in preparation for the final coat of webersil TF, a silicone-based, textured, through-coloured decorative finish which is highly water repellent, durable and weather resistant. Vanilla was chosen from an extensive range of colours adding a fresh, modern appearance to the Denton Estate apartment blocks. Improvement works have also included the replacement of inefficient single glazed, powder coated aluminium windows, doors and screens with double glazed, contemporary-style upgrades and new roofs have been installed. The Denton Estate green roofs are intentionally ‘vegetated roofs’ which consist of a waterproofing membrane, growing medium and vegetation overlying a traditional roof structure.